We understand many of our clients may be feeling the business implications of the longest-ever partial federal government shutdown in American history. Now on day 24, we understand that concerns are heightening as companies try to figure out how to prepare and respond to this record-breaking shutdown. Federal contractors are essential in helping agencies meet their mission and deliver services to the American public. What is not often reported is that unlike government employees who have historically received back pay, those contractors who work with them daily side-by-side on critical public-sector projects do not receive compensation. With this shutdown nearing the 30-day mark and possibly exceeding it, this has many implications. Companies must figure out what to do about employee pay and benefits. 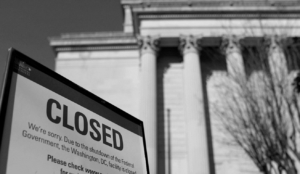 How do companies handle furloughed employees? In addition, what are the implications for their bottom lines? They must address revenue and cash flow concerns from contracts that are stalled and work that has been halted. While some of the larger players in the government contracting field may be able to rely on diversified revenue streams, including DoD contracts that are not affected during this shutdown, small to mid-size contractors may find themselves struggling under circumstances that are out of their control. Plan ahead: Map out a plan to manage each contract portfolio before a shutdown occurs. Engage with government clients: Communicate with your customers before, during and after the shutdown. Determine early on what is considered essential operations under your current contracts. Know where your employees are and establish clear lines of communication to relay workforce information. Determine what contract modifications can be made to enable the company to make up lost revenue. Decide whether to compensate staff during layoff or furlough or to allow them to use vacation or leave. Issue stop-work orders or suspend work orders for nonessential contracts. Seek recoveries promptly: Watch for required notices and timeliness rules. In addition, PSC has provided webinars, talking points and other resources on their site. For more information visit PSC’s Government Shutdown Resource Center. Stay tuned to Market Connections for a special PulsePoll™ being conducted of federal employees with regards to top priorities once the shutdown ends.